Women’s history month is certainly a month to educate in order to celebrate. In an age of #MeToo and global empowerment, some of these seem just otherworldly…from a bygone era that simply cannot exist in today’s world. The only way to truly ensure that these are moments from the past is to commit to passing along much better, far more meaningful advice to the generations of marketing leaders to come. To that end, I wanted to use this month’s message to celebrate some names from the past and to pass along some wisdom for the future. 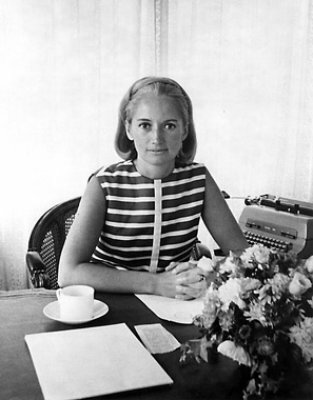 Mary Wells Lawrence: I was mortified to recently hear a young marketer wonder if the character of Peggy from Mad Men could have ever really been real. When I asked if she had ever heard of Mary Wells Lawrence, the blank expression said it all. It is hard to talk about the world of advertising and NOT talk about Lawrence. Not only was she one of the legendary “Tinker’s Thinkers,” she was behind a campaign for Braniff Airways that set the bar for creativity, relevance and, most importantly, business impact as the “End of the Plain Plane” campaign was widely touted as being the linchpin to the turnaround and success of the airline in a time when success was hard won. Her campaigns aren’t just memorable…they are iconic: “I Love NYC,” “Trust the Midas Touch,” “I can’t believe I ate the whole thing,” and of course, “Raise Your Hand if You’re Sure.” Arguably, Lawrence was also a first as a marketer who became a CEO, becoming the first female CEO of a NYSE-listed company. 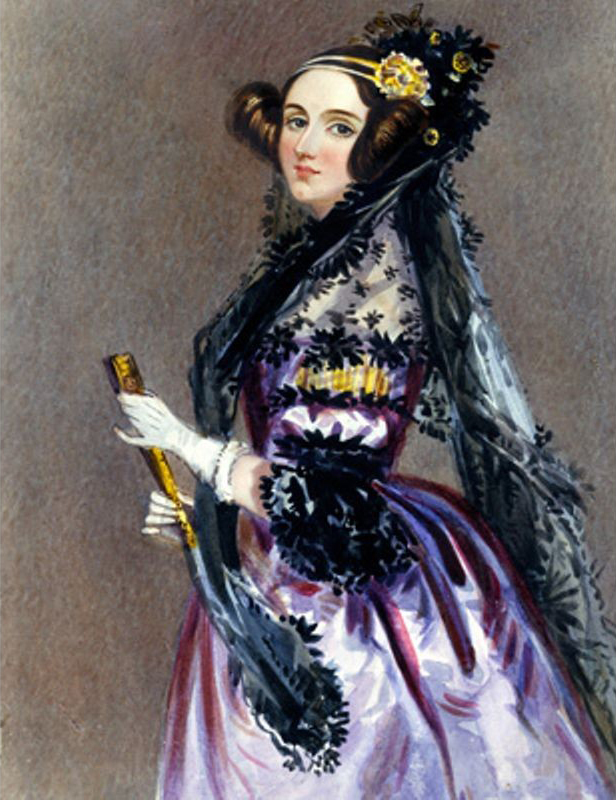 Ada Lovelace: While she is often called the “Founder of Scientific Computing,” I’ve started thinking of her as the first lady of Modern Marketing, albeit some 180 years early. Lovelace called herself an “Analyst & Metaphysician.” At her core she was the ultimate problem-solver, mathematician and wordsmith, looking at Charles Babbage’s computational and analytical engine and translating into understandable and accessible descriptors. The concept was complex, to say the least. Few even understood Babbage’s vision, let alone how to make it work. But Lovelace saw through the complexity and chaos, translating the impossible, distilling the hyper-technical into a promise that we know as a general-purpose computer. She even took the next step and wrote the first algorithm for the machine. She’s the OG of computer programmers. So why do I call her the first modern marketer…easy…she bridged the gap between content and computing, able to translate complexity and apply data to make it all work. If that isn’t the picture of the modern marketer, what is? 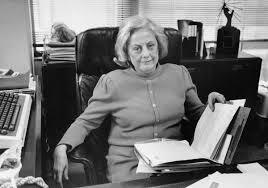 Muriel Siebert: Seibert was best known as the “first woman of finance,” being the first woman to own a seat on the New York Stock Exchange and the first woman to head one of the NYSE’s member firms. At the time that she joined the exchange in 1967 there were 1,365 men… and Muriel. While she has left an indelible mark on finance, she was also an outspoken advocate for women and minorities in business. She was quoted as stating that “Men at the top of industry and government should be more willing to risk sharing leadership with women and minority members who are not merely clones of their white male buddies. In these fast-changing times we need the different viewpoints and experiences, we need the enlarged talent bank. The real risk lies in continuing to do things the way they've always been done.” Leaders lead. Muriel was a leader. Three women. Three trailblazers. Three inspirational lessons for Women’s History Month. All three of these women have inspired and intrigued me at various points of my career. But one gave me a specific piece of advice I will pass along. One night I met my “bestie” (as the kids call em) for dinner in Manhattan. We were sitting in at a small table being loud, laughing hysterically and recounting stories of stupid things that were going on at work. An older woman was eating by herself at the table next to us and asked if we minded if she joined our conversation… we wholeheartedly welcomed her. She told us we reminded her of her own friends, of the nights after work, hysterically laughing to the point of crying. To follow Muriel’s lead, here are some additional words of wisdom from some pretty incredible women of the CMO Council… trailblazers… icons… inspirations… and each and every one amazing. So, to the women of marketing, as we close out Women’s History month, I say ONWARD! We’ve come so far thanks to all the women that came before us. Now, it’s our turn to lead… to teach… to explore… to fail but fail forward… to experiment… to discover… and to laugh long into the night with really great friends. Tell me what you think or add your advice by hitting me up @lizkmiller on Twitter!